Sixteenth-century Europe was powered by commerce. Whilst mercantile groups from many areas prospered, those from the Low Countries were particularly successful. 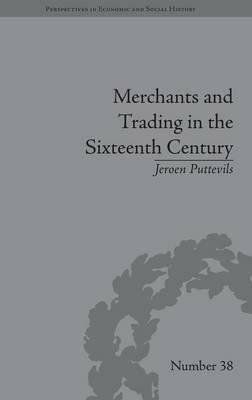 This study, based on extensive archival research, charts the ascent of the merchants established around Antwerp. Jeroen Puttevils is a post-doctoral researcher of the Research Foundation Flanders, based at the Centre for Urban History, University of Antwerp. Publications include 'Medieval Merchants', in Fundamental Aspects and Conditions of the European Middle Ages (2014) and 'Trading Silks and Tapestries in Sixteenth-Century Antwerp', in Cloths, Credit, Cities and Court (2014).